NorthCross Church is committed to teaching and preaching the Bible, delving into all its facets, narratives, and details, because it is in the Scripture that we come to know God more deeply, learn to trust Him more fully, and grow in our care for one another. The sermon series is typically structured by the particular book of the Bible we are studying; other times we will dedicate a short series to a particular topic that allows us to dive deeper into a subject across multiple books of the Bible to give us a bigger picture of that specific subject. The letter to the church in Philippi has been called the “Epistle of Joy” resulting from Paul’s repeated mention of, experience of, and call to JOY. Throughout his instructions and encouragements there is a rootedness in the active grace of God in and for His people—and it is from that foundation that everything else grows: joy, endurance, contentment, love for others, faith in God, and more. We will take a week by week look at the letter, learning more about this active grace Paul roots his message within, with the aim to follow this letter’s guidance toward A Growing Joy. The Christian life is one full of diverse experiences and with that comes a diverse interaction with our pursuit of faithfulness to God. Walking the path to life, His path of righteousness, is pictured from a variety of angles in the Psalms and with these aspects we get a fuller guide to what it means to LIVE as people of God. So we now explore different Psalms considering the way our lives look different as a result of God’s work in our hearts through the Gospel. The word Advent means a coming into being or view, an arrival. In the Church, Advent is observed the four weeks leading up to Christmas Day, the day we celebrate the Incarnation, the birth of Jesus into this world. It is a season of preparation, of looking forward and of waiting for something greater; both for the yearly celebration of the event of Christ's birth, and for the time when Christ will come again. One of Paul's strongest statements concerning the interaction of God with the world is in the opening chapter of Romans: "I am not ashamed of the Gospel, for it is the power of God unto Salvation." As we enjoy the Summer months we will be doing a break off series rooted in the Power of God unto Salvation in which we will be looking at a variety of stories that display the Gospel at Work. The book of Romans is the most systematic articulation of the Gospel that Paul (or any of the Apostles) delivered to the Church. In this one letter we have doctrines concerning how we are saved and made holy before God. What it looks like for the Spirit of God to be at work in us throughout our life. We have explanations of Christian Living and how we are to interact with others inside and outside our faith communities. And to what end are these things pursued? Paul bookends his letter with his answer: "to bring about the obedience of faith" (Rom. 1:5 and 16:26). 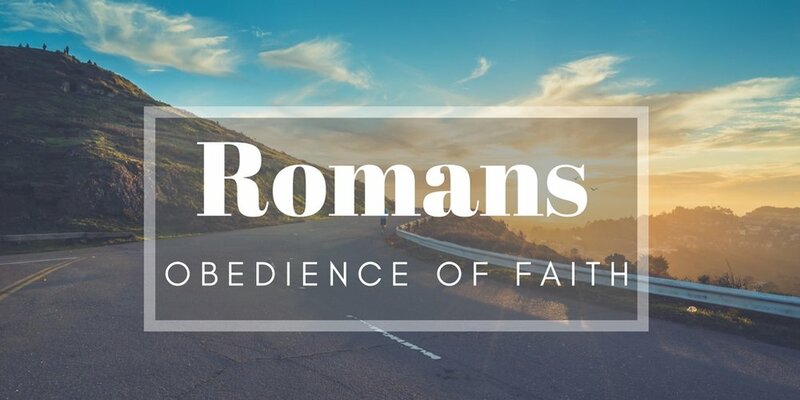 Join us as we spend the next several months working through the book of Romans, considering the various aspects of our faith in practice, in order that the Holy Spirit would bring about the obedience of faith in our lives as well. The sermon recording had an issue, so we were unable to upload. We apologize for the inconvenience. Unfortunately the sermon recording is unavailable. The text from Romans speaks to how do we wait for God's promises to be ultimately fulfilled - eagerly, but patiently. What is the true meaning of Christmas?! Charlie Brown wondered this, and so should everyone else as we approach the climax of this holiday season. This Season of Advent will be spent considering the central pillars that make up the meaning of Christmas. Hope, Humility of Christ, Call of God, and the design of Worship. Come consider with us the True Meaning of Christmas as we engage with Jesus who has come in the flesh which is the ultimate foundation for the reason for the season. Unfortunately the recording for December 31 was not fully successful. Therefore the above recording is only part of the whole. As a summary of the remainder of the sermon, the text of the Wise Men displays the reality of worshiping Jesus and how God's actions of power and love exhibited through the birth of Jesus give a clear invitation to worship Him. The Wise Men did, but there's another option: Reject Him. Herod displays that rejection. He rejected the call to submit and give up his power and authority to serve another. And our tendency is to follow Herod. The call of the Gospel is counter-intuitive; it calls us to give up being master of our own fate, director of our own plans, and providers for our eternal wellbeing. And it calls us to entrust ourselves to another. And the only way to come to the same conclusion as John the Baptist when he said "He must increase and I must decrease" is to recognize what sort of Ruler we are submitting to. The gifts of the Wise Men give us a clue: He's the greatest King (gold), the Perfect Priest (frankincense) and the only Sacrifice for sinners (myrrh). When we see that the God who calls us to submit is the God who came to give Himself up for His people, we can free offer up our worship and our treasures knowing that He is the better Ruler than we are and the only Savior for our souls. When we realize that the power God displays through the birth of Jesus is done for the intimate purpose of lovingly saving us, our hearts are led to worship Him, which is exactly what He deserves. 500 years ago a simple list of discussion items turned into a Church-wide reforming process that produced the foundation of our own Lineage of Faith. Join us on a four-week series considering several pillars of our belief as heirs of the Reformation: Sola Scriptura (God's Word as our Highest Authority), Sola Gratia (we are saved by grace alone), Sola Fide (by faith alone, apart from our work), Solus Christus (through Christ alone), and Sola Deo Gloria (for the glory of God alone). What is the Church? The Fall will begin with a look at the church through the first three chapters of Revelation and consider what Christ established, the vision for such a creation, and our call to truly enter that work. Come and join us as we all focus on the avenue by which Jesus is healing the broken and expanding His Kingdom. This Summer we will be turning our eyes to one person, spending some time talking about the Who at the center of our faith: Jesus. We are going to take a variety of passages from each of the Gospels and consider who Jesus is, what He did and is doing, why He has done these things, and more! Come ready to learn, worship, and grow; Let's ReDiscover Jesus together! Throughout the Spring we will be walking through the book of Esther and considering what it looks like to be a community of God's people within a context where such a faith is not the priority. This series will ask the hard questions of cultural engagement and wrestle with how we can live out the truths of the Gospel in a culture that is more and more in opposition to those truths. As Esther makes the hard decision to stand, what might it look like for us to do the same both confessionally as well as actively in our communities. Unfortunately this week's recording is unavailable. We apologize for the inconvenience. Here is a summary: In Esther 8 the question of true Christian discipleship comes to the forefront of our minds--What does it look like to be a disciple of Christ? How do our pursuits shift? The Christian life is not one of upward mobility in which our world has invested so much but rather a life of downward mobility ending in the cross. The way of the Cross, meaning the path of Christian discipleship, is not one of power and control but rather a path of powerlessness and humility in which the suffering servant of God, Jesus Christ, is revealed... power is constantly abandoned in favor of love. How do you live that way? By first experiencing the friendship of Jesus, which looks like true heart change; From Jesus' love we are filled with the emotional resources to say yes to loving others. Second, having a proper focus on Spiritual Disciplines in our life--Scripture and theological reflection, prayer, meditation, and fasting. These and others keep us connected to the right story of who we are and why we exist. Finally, experience and build into the purpose of your community of faith. Paul describes the church as a body where all its parts are unique and equally necessary. We cannot do this "Christian life thing" apart from mentors, elders in grace, and peers in grace. It is only then that we experience the result of Christian discipleship, that downward mobility into the cross, of "light and gladness and joy and honor" that Esther 8 points us to. The month of January is dedicated to the vision of NorthCross Church. As we enter a new year as well as a new season in NorthCross' life we want to return to the foundations of our church vision. We will be looking at Acts and dive into the Gospel Foundations for being a Community Where All People are Loved, the Gospel Changes Lives, Action Displays Christ, and Multiplication is the Goal. During the month of September we are looking at Gospel Generosity; a lifestyle of generosity that goes far beyond the limits of our check book or our bank accounts. The grace of God extended through the death of Jesus on the Cross models for us a generosity that rightly brings us to consider how our lives communicate receiving our greatest gift from such a generous God. Our Time, Talents, and Treasures are to be generously spent for the mission of God. This study runs alongside the NEXT Initiative, our church wide step of faith into Expanding our Story as a congregation. The book of Psalms is one of the most used books in Christian history as a book of personal as well as congregational application--used as prayers, as songs, and as pieces of meditation both in the New Testament and throughout the centuries of the church after the first century. This book highlights Christian duties, it underscores Christian beliefs, presents honest experiences, and magnifies Jesus as our Lord and Savior. It connects with our honest struggles and points us to the source of true hope. This series is the first of several that will consider the Christian Life as informed, directed, and encouraged by the Psalms. Considering the Bible's picture of work and rest, how do we properly balance the two? Is there room in our lives for rest? Should there be? Perhaps a look at God's picture of work and rest will help us gain a healthy and life-giving view of work as it is supported by proper rest. Exploring the book of Galatians we find that the struggle to make ourselves whole is one we fight often, so what Paul says to the Galatians is exactly what we need to hear: making ourselves whole is not our job, instead we must look to Jesus for wholeness.